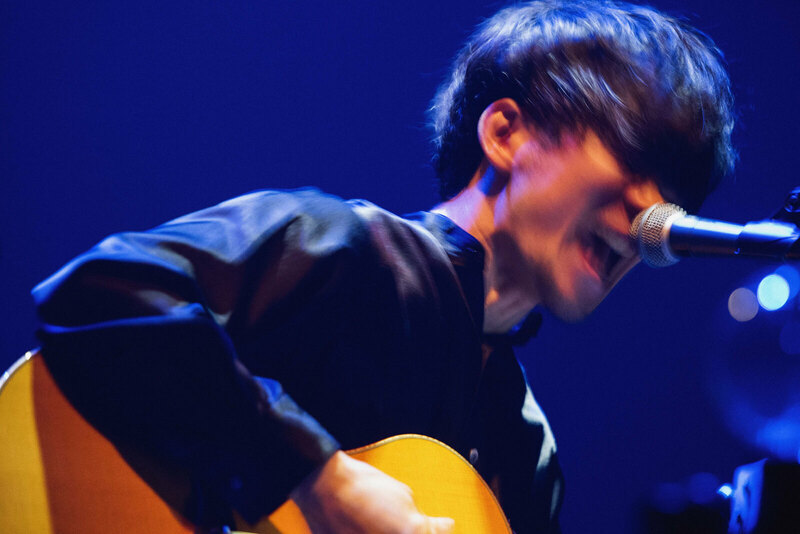 TK is the nickname of Toru Kitajima, who is not only the primary songwriter for the band Ling tosite sigure but also performs as a solo project called “TK from Ling tosite sigure” under which it was recently revealed his new song P.S. RED I will be used as the main theme song for the upcoming Japanese release of Spider-Man: Into the Spider-Verse. 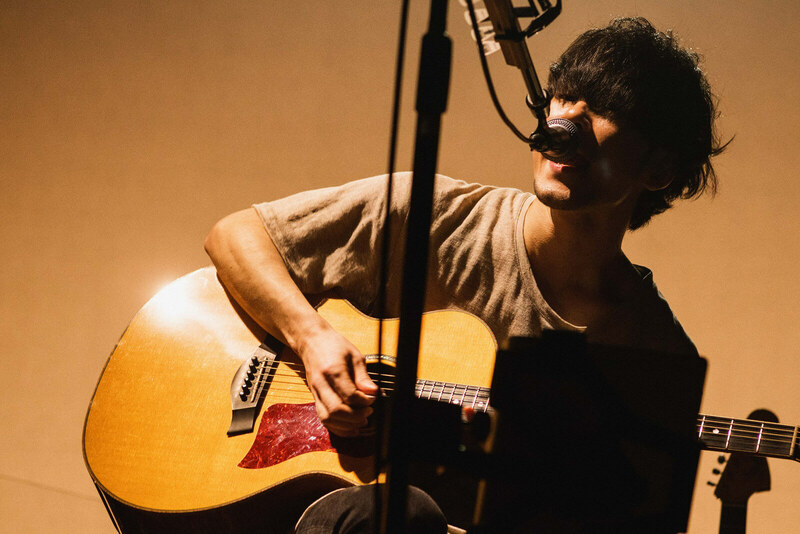 Under his solo name he recently performed a special acoustic concert entitled “Acoustic fake shoe vol.1” at Meguro Persimmon Hall in Tokyo on December 14. This is the official report translated. As the title of the show states TK was not backed by a normal band on this night but instead performed entirely acoustically. He was backed by Mari of Japanese band Gesu no Kiwami Otome on piano, Mamiko Amemiya on violin and Toshiyuki Muranaka on cello. 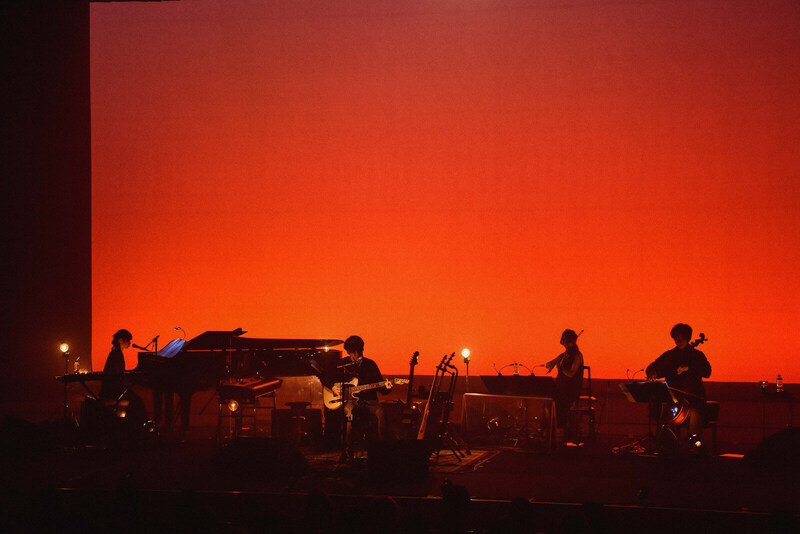 This special one-night-only show saw the four musicians perform both TK’s solo material as well as songs from Ling tosite sigure. It began with a dimmed stage and from a beam of light appeared the three guest musicians who were followed shortly by TK. The first song of the set was contrast. TK’s acoustic guitar and singing, the piano and the strings blended together to create a classical sound which in turn evoked a lyrical atmosphere. Seacret Cm began with noise from the violin and cello followed by delayed sounds from the acoustic guitar whose echoes reinforced the spaciousness in the venue. It was then that TK showed off his technical phrasing for showcase reflection just as he does when performing with a full band. His shredded some aggressive chord strokes for re:automation too which Chan Mari joined in with on piano. 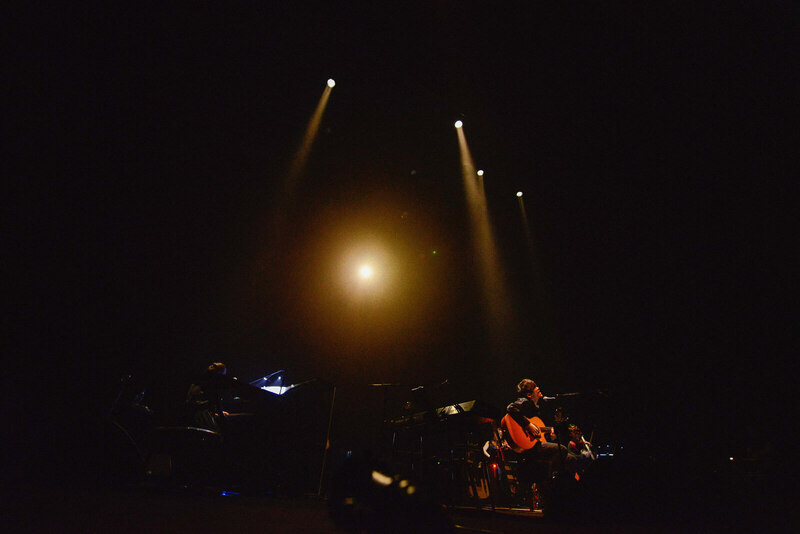 A dramatic ensemble unfolded for Signal and an artist for which the focus was on TK’s singing. After a quick hello to the crowd and a performance of fourth which wrapped the room in its warm and melancholic melody, TK announced, “We’re going to play a nostalgic song.” TK took to the piano and played alongside Mari for make up syndrome. Mari subsequently left the stage with Amemiya leaving TK and Muranaka together to perform a thrilling session of Kankaku UFO comprised of acoustic guitar and the cello. TK was then left by himself on stage and delivered a brand new song. It’s only with an acoustic set that you can appreciate the singer’s facial expressions. “Singing to your own accompaniment for me is the toughest thing. Please enjoy that tingling sensation with me,” said TK. The other three members then joined him back on stage to perform dead end complex with tight additions put into the performance as a band would do. After the piano and vocal-centered unravel the final song was memento from TK from Ling sigure tosite’s latest single katharsis. It began peaceful with the piano and strings but TK changed it up by whipping out his telecaster, ending the main set with a thunderous roar. For the encore TK sat in front of Mari’s piano and reiterated, “Singing to your own accompaniment really is tough (laughs)” before playing tokio. The strings and piano were added gracefully to TK’s delicate vocals to create a beautiful ensemble. The final track to wrap up the night was Missing ling. It began with TK singing and playing guitar which gradually became more and more chaotic as the piano, violin and cello kicked in one by one followed by TK’s screams echoing through the room. The song ended with TK singing to his own accompaniment once more, concluding the night on a majestic note. TK from Ling tosite sigure will embark on his 2019 Katharsis tour in February next year. *Those high school aged and under get ¥500 cashback upon entry to the venue.